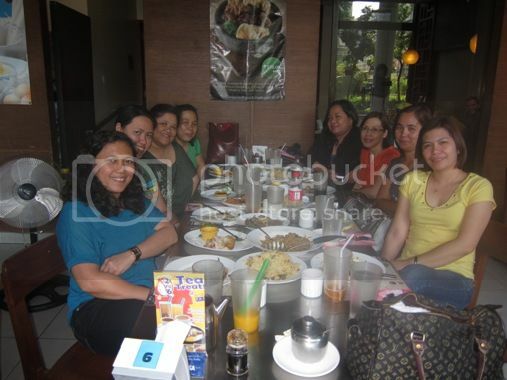 Mommy Moments: Christmas Bonding with My Girl Friends! I’ve known these girls for more than a decade already. We used to work in one office before, but we have different jobs now, and most of us work at home. Some of these girls are now my son’s godmothers. 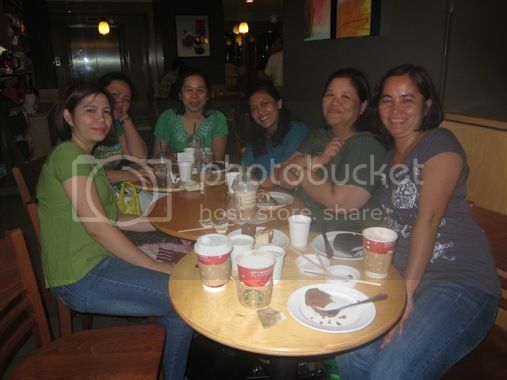 Despite our busy schedules, we always make it a point to meet before Christmas, and it was decided that last Saturday, December 2, would be the day we would all be absent from work to meet up and catch up on each other’s lives. We had late lunch at North Park in Glorietta 5, stayed at Ayala Triangle Gardens for more than an hour to watch the Christmas Spectacular Spectrum and had coffee at Starbucks in a nearby building. Time went by so fast, and it was soon time for us to go home. I wish we could see each other more often and not just during the Christmas season. Advance Merry Christmas, friends! See you again next year! This entry was posted in Christmas, Christmas Get-together, Mommy Moments. Bookmark the permalink. 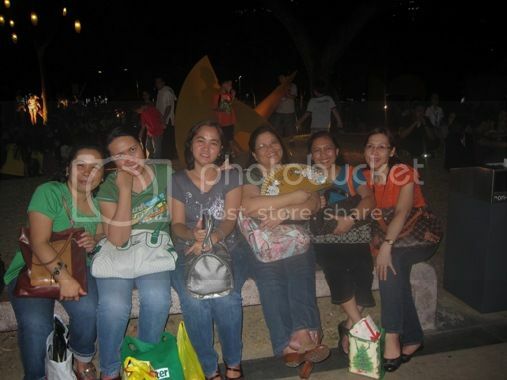 12 Responses to Mommy Moments: Christmas Bonding with My Girl Friends! I guess most of us stay-at-home moms have something like this to look forward to during the Christmas season. Icar (My Charmed Mom / Of Limes and Lemons) and I were officemates before, and we both became SAH moms, too, when we both had kids. My friends are all back home and in Qatar .I have some friends mostly from college but they are too far from in anothar states .Friends are to be cherished even if we don’t see each other more often. my me and my highschool barkada are doing the same thing since we started working but lately, I mean last year we were not able to get together due to their erratic schedules. this post made me miss them…hopping for MM! It’s good that you still bond with your friends because it’s so hard to find true friends nowadays what with everybody’s busy schedules and life.